What a moronic thing to say after his abysmal 1-10 shooting performance. Sure, he makes unique plays and provides a high level of intensity, but he is a back-up guard. Noel thought the same thing when he turned down 70M over 4 years from the Mavs and took the QO. I guess that is the best we can hope for with Smart. Funny thing is, the picture frame incident was very close to being a season ender. If that had happened, we might very well be talking tax-payers MLE right now for the guy. This playoff run was a lot of fun, but it might have cost us Smart and Baynes. Smart brings the brick truck. Lowe speculated “ and I think he might be right” that smart would not be happy with the offers he receives this offseason and ends up taking his qualifying offer. This would mean the Cs get him back for one year at 6mill and then he becomes a UFA. This might actually be best case for Cs who would then have more room under the lux tax to retain Baynes. The follow My year they will be over the lux tax and likely willing to pay Smart more then this offseason. Cant wait for him to be gone! His next team the fans will hate him. Watching him be the go to guy makes me go crazy!! He was probably worth more during the preseason but we've seen he hasn't improved his game nearly as much as he made everyone believe during the offseason. Is it? He's still a horrible 3-point shooter, still has poor shot selection, and still gets caught making silly passes on a regular. The hustle and energy is fine, but people also would like to pay for potential, and Smart's ceiling is looking pretty low. Can't wait till he's off the team. No way I pay him a penny over 9 or 10. Watch the linked video and tell me what he said that was wrong after this loss. The story doesn’t match the video. Did he actually say what is attributed to him last night? If so, it’s not on the linked video. If he said what is in the article, it was in response to someone questioning whether he thinks he’s worth 12-14M (or a reporter goading him by suggesting Boston won’t pay that much). No one here thinks he’s going to say “no, I don’t think I’m worth that much”, right? He could also say “I’m not talking about it”. But why do that? If you are an RFA you want teams to know you are available and that there is a price that your current team probably won’t match. Ya this should be the offseason where the C's pick up ring-chasing vets for cheap. 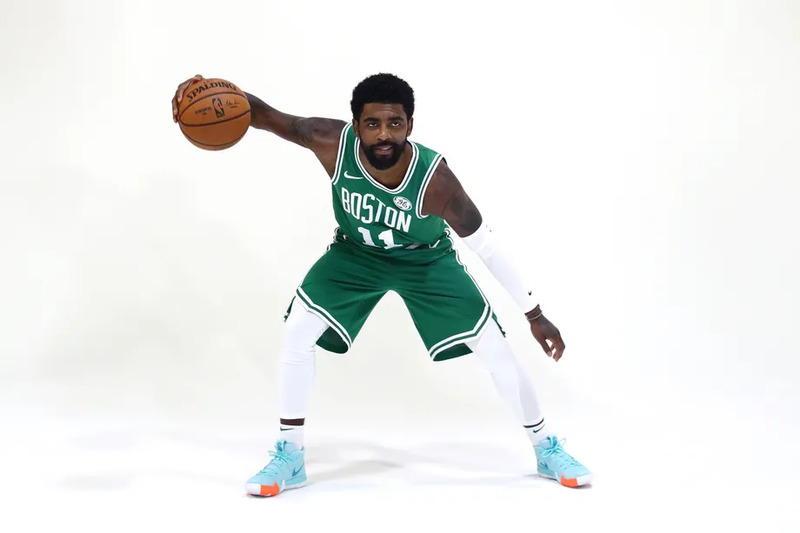 There'll be a lot of players looking to be a apart of a winning system and playing along Kyrie and Horford.